I cannot let April 2013 pass without remembering the person who had the most influence on me in choosing a career in the law. That person was my father, now deceased, who was the best role model I ever could have had of an ethical, dedicated, empathetic and effective lawyer. My books are dedicated to him, and he is part of everything that I do in Best Friends at the Bar. So, he not only affects me, but he affects you, my readers, and, for that, I consider you to be fortunate. My Dad, Rex M. Smith, would have been 100 years old this month. Born in April 1913, he lived for almost 90 years, and he left big shoes to fill for those who came behind him. When he retired, after 50 years of practice, his professional colleagues, lawyers and judges, came from long distances to attend the bar association tribute to him. Although he had started as a sole practitioner during the Great Depression, when employment options were limited, over time he became a major influence in banking and financial services in his state of Wisconsin and the Midwest. However, no matter how successful he became, he never forgot who he was and how he got his start. He could be developing a sophisticated argument for a case in federal bankruptcy court at the same time that he was administering pro bono legal services to those in need. Truly, he was a remarkable man, who kept it all in perspective. My Dad taught me so much—about lawyering and about life. Those lessons could fill a book, but here are some of the most important. Be the Master of Ceremonies for every event. You control the message and the laugh lines! Yes, my Dad lived in another time and place. Law practice was different then, and it would be hard to replicate his experiences today. However, there is so much to learn from his experience, and I hope that you will find something in that experience to resonate in your own life. I know I have, and I also know how fortunate I was to have such a positive role model. So, in the spirit of Pay It Forward, I offer you some of the lessons I learned from a man who still informs my life as an attorney—-and always will. Here’s to Rex M. Smith, my Dad and the finest lawyer I ever had the privilege to know. One of the subjects we talked was commitment on the job—what it is and what it isn’t. We started out taking a look at lack of commitment. For those of us who have been in business a long time, lack of commitment is not hard to spot. It is one of the things that distinguishes the upwardly mobile from the not-so-upwardly mobile, and it needs to be nipped in the bud. What is a lack of commitment? It is the reluctance to be a team player and creating the impression that you are punching a time clock. It is not wanting to work long hours or weekends—EVER—and it is never going the extra mile because you cannot see how it will directly benefit you. It is that “I do not do windows” attitude that can be spotted a mile away. This is clearly not the lawyer that I want on my case, and it is not the lawyer that most managers want on theirs. If personal time always takes priority over your professional responsibilities, you can be sure that people will notice. By contrast, commitment is being serious about your work so that you are taken seriously. It is about creating the impression that you care about the work and the clients and that you are willing to do whatever it takes to get the job done. It is staying until the assignment is complete or until the motion is filed, and it is making sure that the job gets done the best way you know how to do it. It is caring enough to make suggestions to improve the work product and taking the initiative to identify what needs to be done without waiting to be told. Simply stated, it is acting responsibly and sending the message that you can be counted on as a member of a professional team. Commitment creates value that can enhance your career opportunities and give you bargaining power when you may need flexible work arrangements in the future. If you have proven yourself to be reliable, trustworthy and industrious, the firm will not want to lose you. But, commitment is about more than just billable hours and a solid work product. It also means devoting time to networking and developing new clients. These are very valuable assets to a law firm and will affect your future prospects in the firm. It is almost impossible to be upwardly mobile in a law firm today without having your own clients, and the way to do that is to network, network, network. The challenge comes in being committed to your profession and having a personal life as well. That is when choices come into play. If the commitment of private law practice does not work with your personal circumstances, you need to consider your alternatives. I am a self-proclaimed Queen of Reinvention because that is what I had to do. When being married to a fellow trial lawyer and having two children under two years of age made private practice incompatible with the responsibilities of my personal life, I turned to public service. The eight years that I spent in public service was some of the most interesting and valuable work experience of my career, and that experience made me more valuable when I returned to private practice. You have to plan for changed circumstances, and you have to grab the brass ring when the time is right for you. So, commit yourself to your work. Grab that brass ring and make the most out of your opportunities. You will be investing in your future, and that is always a good and wise thing. Last week I wrote a blog that reflected my pride in my law alma mater, Georgetown Law. Today, I am equally as proud of the DC Women’s Bar Association, where I have been a member for over 30 years, for the work that they do for women lawyers. I attend DCWBA-sponsored programs as often as possible, and I also have presented programs on their behalf. Those programs are always very helpful and valuable for women in the profession. The DCWBA event that I attended last week was right at the top of my list of outstanding programs. The program, which was hosted by the DC office of Sutherland Asbill & Brennen and addressed “Gender Equity in Partner Compensation: Why It Matters & How To Do It,” was moderated by DCWBA President Laura Possesky and featured a special appearance by ABA President Lauren Fellows. Ms. Bellows’ remarks were inspiring and also included challenges to the women in the audience to be a part of the solutions to what sometimes feel like age-old problems for women in the law. The panel was comprised of representatives from of DLA Piper, Crowell & Moring, Arnold & Porter and the University of Maryland Law School. 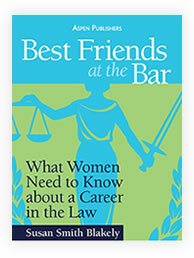 I am happy to report that two out of three of the law firms represented have sponsored Best Friends at the Bar programs for their women lawyers, and I just recently made a second appearance at University of Maryland Law. (See my April 10th Facebook post—which you can access right here on my web site— on that excellent experience.) 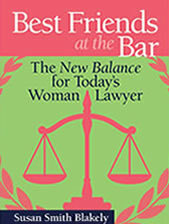 That is good news for Best Friends at the Bar and for the women law students and lawyers in those settings. Educate all attorneys about the negative career impacts of implicit bias. 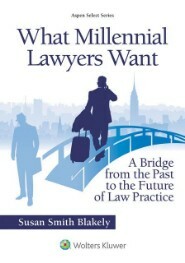 This should be an outline for the discussions that you need to have at your law schools and law firms. It is critical to continue the dialogue so that one day, one year, we will not have to devote hours of conversation to these issues. We have much more to accomplish in our professional lives, but we also need to pay attention to these threshold issues that will continue to affect our professional lives and the professional lives of our daughters and our granddaughters. I know it is hard for many of you to take that long view, but those days will come sooner than you think. We do not want to be looking toward the future and in the rearview mirror and seeing the same images. Do your part to advance the discussion. You will be glad that you did. On Wednesday, April 24th, I will be the guest of popular radio host and Forbes columnist Bonnie Marcus on her CBS New Sky Radio show. The hour-long show starts at noon ET, and the Podcast can be downloaded. 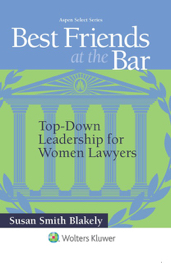 Bonnie and I will be discussing the difficult choices for women lawyers, who want both challenging careers and personal lives. It will be a lively and valuable discussion that you do not want to miss. Link here to Bonnie’s web site with details about Wednesday’s show. Hope you will join us on Wednesday at noon!